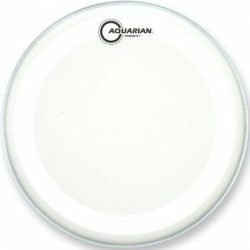 A thin, very large control dot covering almost all of the drumhead gives the Aquarian New Orleans Special a low to moderate sustain, while remaining responsive to lighter playing. 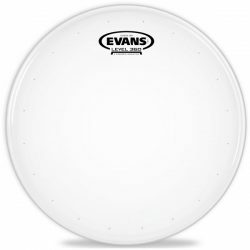 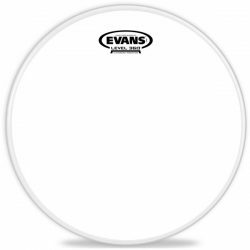 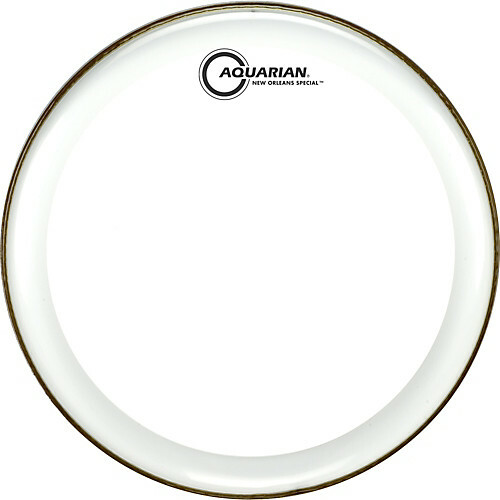 The Aquarian New Orleans Special is a 10mil clear single ply drumhead, with a very large white control dot across the topside. 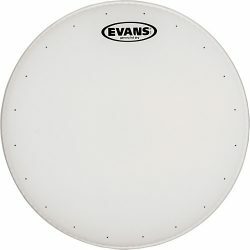 The thinner single ply gives te New Orleans Special a good responsiveness, allowing lighter touches to be heard clearly. 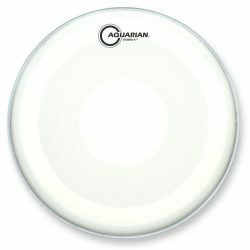 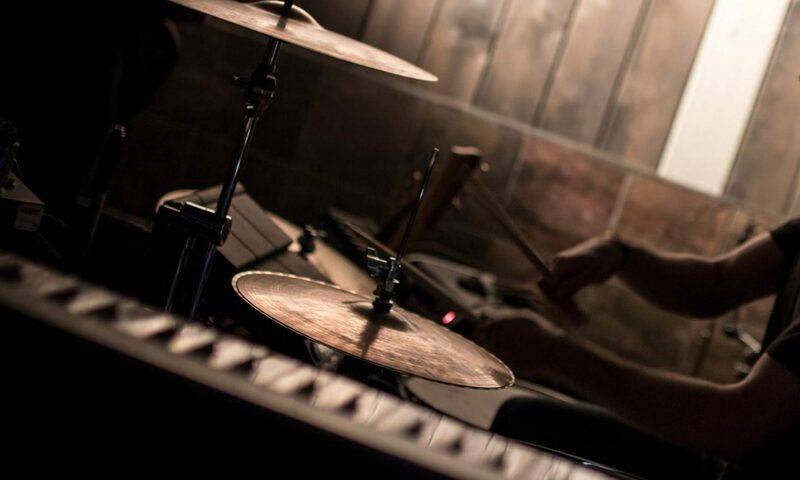 The large control dot adds some dampening which reduces the sustain, and ensures that overtones won’t ring out of control… If you want to reduce your snare drum ringing, the Aquarian New Orleans Special is a great option. 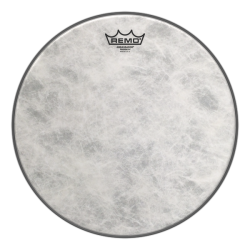 The large control dot also gives extra durability, meaning this head can handle some harder hitting when required. 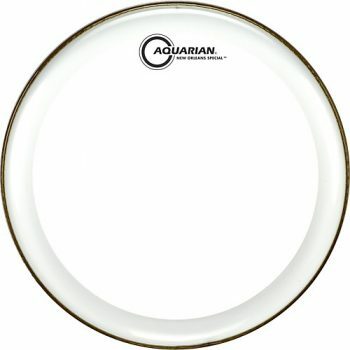 The Aquarian New Orleans Special has a nice range of sounds and tuning options, thanks to the unique extra large control dot. 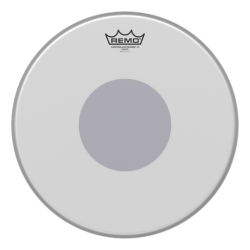 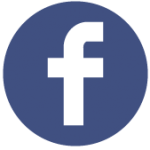 It can produce a balanced, fat, and controlled sound when tuned low, while also giving more tone and character when tuned higher. 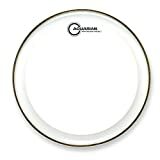 The Aquarian New Orleans Special is a great drumhead for low and medium volume playing if you’re looking for sensitivity, but without the ringing overtones. 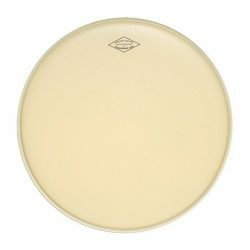 The Aquarian New Orleans Special is made for snare drums, and is available in 13 inch and 14 inch sizes.